Franz Ernst is a film director, scriptwriter, editor and producer. He has directed around 50 feature films, tv dramas and documentaries. Has won awards in Venice, Berlin, Copenhagen and other places. Has worked with a large number of the best Danish actors and writers. To be mentioned among the films: Man against Horse, documentary 2003, 1st award, Teplice, Slovakia Domino, tv series1991, written with Anders Bodelsen A World Turning Pale, tv drama 1984, written with Astrid Saalbach Interrupted Meeting, tv drama 1982, written with Jens Smærup, 1st award, Plovdiv, Bulgaria Men’s Union, tv drama 1981, written with Kristen Bjørnkjær The Marksman, feature film 1977, written with Anders Bodelsen. 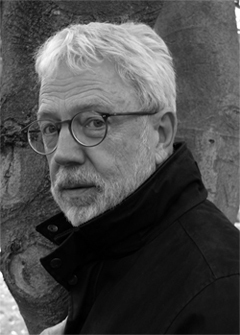 Ernst has been President of the Danish Film Director’s Association, Director of Odense International Film Festival, and with the Danish Actor´s Association he has been leading seminars for actors and film directors, and has conducted a number of other workshops as well. In recent years he has been President of the Danish Council of Artists, the organization of professional artists’ unions in Denmark. In the board of Circolo Scandinavo he has recently been representing the board of Nordic Arts Councils for a number of years.